I now have Gift Vouchers available for that extra special gift for the make up lovers in your life! 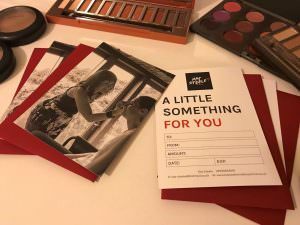 These are perfect for someone who would love a one to one make up lesson to learn how to apply make up correctly to suit their features, eye and hair colour and to work into their everyday schedule. We can either go through an everyday look or you could try something more glamorous for a night out.